N West municipalities experiencing service delivery challenges - SABC News - Breaking news, special reports, world, business, sport coverage of all South African current events. Africa's news leader. Residents say services are not delivered in some North West municipalities. Service delivery is reported to have collapsed in some of the eight municipalities which have been put under administration in the North West. Documents seen by the South African Broadcasting Corporation (SABC) indicate that the provincial Local Government Department reported to the delegation from the National Council of Provinces last week, that most of these municipalities have not improved the situation that led to them being put under administration. Negative audit outcomes, poor revenue collection, leading to failure to pay service providers and financial mismanagement were cited as reasons for municipalities to being put under administration. 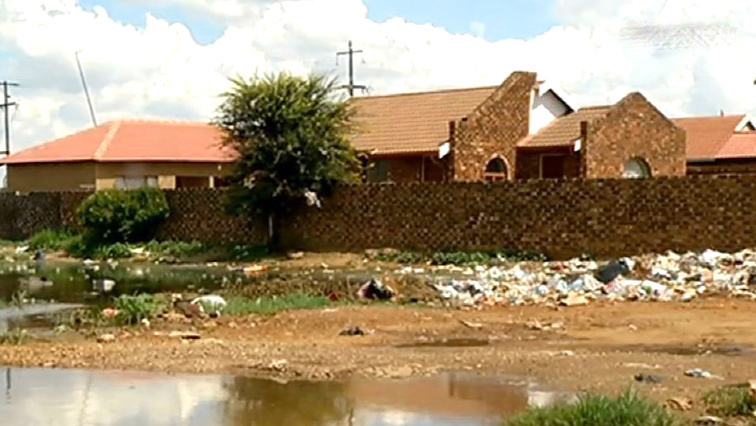 At the Mahikeng Local Municipality, residents decry blocked sewage systems, non or delayed collection of refuse and recurring water cuts. “There is no service delivery in Mahikeng. Our municipality is not providing services, especially here at the taxi rank. They take long to collect refuse,” says one of the residents. Opposition parties have weighed in calling for the dissolution of the affected municipalities. This entry was posted on 09 Feb 2019,09:26PM at 9:26 PM and is filed under South Africa, News, Homepage Latest Stories Slider. You can follow any responses to this entry through the RSS 2.0 feed. Both comments and pings are currently closed.